Welcome to the St. Thomas More Library! Find over 5,000 books, CD’s and DVD’s to enrich and further faith formation at all stages of life- children, teens and adults. The library exists to foster your spiritual growth, increase your awareness of God’s presence, and widen your knowledge of the Catholic faith. You can find resources on bible study, Catholic teachings, prayer and devotion, Christian living, Church history, saints, sacraments, marriage and family, social justice and spiritual formation. Tuesday, and Thursday mornings from 9:00 to 10:00 a.m. as well as during some Religious Education classes. 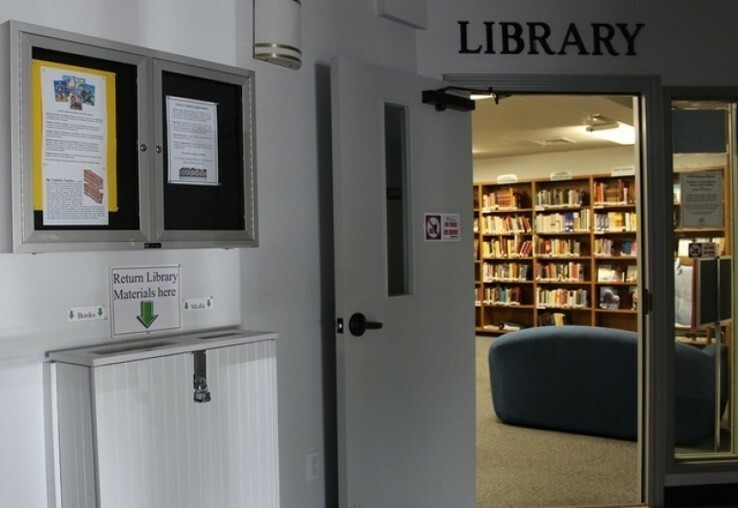 Weekday hours vary and are posted outside the library door. Like a book? Write a review!